It’s getting to be the time of year to think about awesome gifts for the holidays. 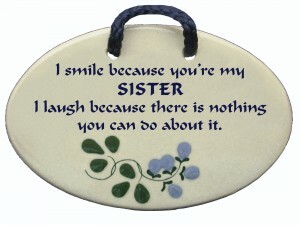 I always like to start with my sisters because they are the easiest ones to pick gifts for. 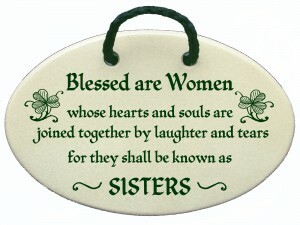 Mountain Meadows Pottery can help with lots of great sayings. The plaques are packaged beautifully using environmentally friendly materials and are ready to give. 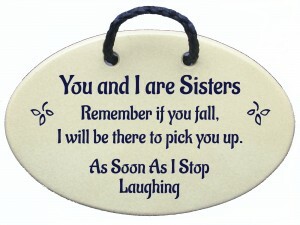 Let us help you make your sisters laugh and feel well loved with one of these great presents.